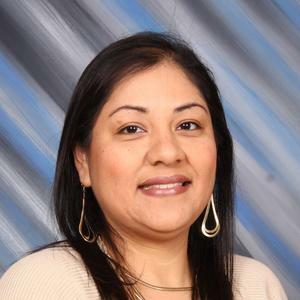 This week's Tiger Spotlight shines on Mrs. Patricia Cruz. Her passion for teaching is evident in all that she does. Mrs. Cruz spent the better part of her summer attending professional development and writing curriculum to make her classes come alive. Her lessons are relevant and students see the value in what they are learning. Mrs. Cruz founded the History National Honor Society last school year with the goal of opening students' eyes and minds to the history around us. Most recently, she and her students organized a school-wide event to celebrate Constitution Day. She and her students handed out flags, pencils, pocket constitutions and lots of other goodies in an attempt to bring awareness to all of our students. Its this out of the box thinking that makes her classes fun and inviting. For all the time, effort and passion she puts into all her lessons, we recognize Mrs. Patricia Cruz.